You all know my books too well, so I’m digging in and hoping this one is a stumper. So Who Said It? “That was before I killed a man,” she offered, coming up with the only excuse she could other than the truth. Which of course every matron in London knew was code for: I wish to marry your daughter immediately. Thank you, one and all, for helping spread the word about the release of Six Impossible Things. Your work and enthusiast support propelled my latest and final installment in the Rhymes with Love series onto the USA TODAY bestseller list. So give yourselves a round of applause. I never set out to write Six Impossible Things as a Marriage of Convenience story–it isn’t by my way of thinking, more of a “Marriage-That-Had-to-Be”. In fact, in my original synopsis Roselie and Brody marry where weddings usually occur in historical romances, about two pages from the ending. Best part of being one of my a newsletter subscribers? You get a first shot at advance copies and other great giveaways, news, and first looks. Ladies, your copies are going in the mail today and expect them by Saturday. 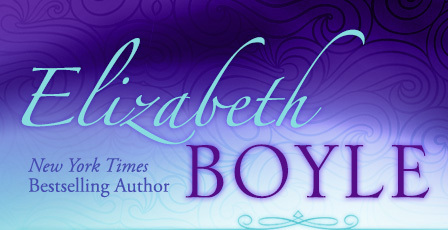 Enjoy your early read of Six Impossible Things and don’t forget to post reviews! For everyone else, this new Rhymes with Love book comes out April 25th. Pre-order your copy today or check out the excerpt. Continuing with my Knavish theme this month, and since THE KNAVE OF HEARTS will only be on sale for a very short time longer, I thought I would give another look inside at the very beginning of Tuck and Lavinia’s romance. Poor Lavinia! The thing about a knave is that he never has your best interests at heart—no matter how sincere he seems. “Trust you?” Her astonishment all but filled the room. 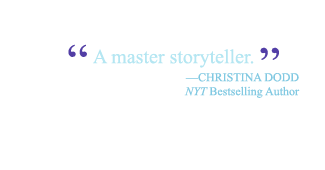 Well, she might have a point in that regard . .
Last week to get THE KNAVE OF HEARTS for .99 cents. Don’t miss out! 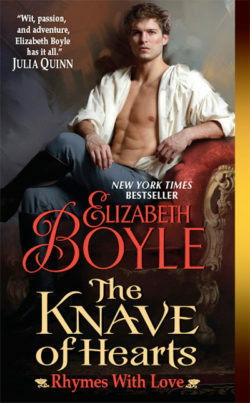 And if you have already read The Knave and loved him, why not send a .99 copy to a friend? Who doesn’t love a surprise like that? Especially a knavish one. What a perfect book to put on sale this month: The Knave of Hearts. Have you read it? If you haven’t, the ebook is on sale for .99 cents (for US and Canada readers). The perfect price to get yourself a copy or send one to a friend. Tell them Tuck Rowland is a hero they will love as much as chocolate! Find a .99 cent copy at your favorite online retailer here.